Aircraft developer Colimata has announced that starting from Mid-May, they will have an early-access to their anticipated Concorde. Whilst the release won’t be deemed final, Colimata has confirmed it is ready to fly and still be an enjoyable experience. The idea of Early Access for the developers is an opportunity to develop it with community feedback in mind. They’re happy with the current progress, but want to ensure that the community also enjoy it. Updates won’t require a full installation (although the final RTM version may do further down the line), but instead can be updated via a small plugin (less than 2Mb). To be clear with the community, Colimata has issued an extensive list of currently available features, what is to come and the progress of each part. It’s all designed to be as transparent as possible. The below list comes from the developer themselves via the X-Plane.org forums. +Sound: In the works these days. Fmod 3D sound. Only the best for our baby! The experiences on our FA-18F and MiG-29 engines help a lot. I’m confident you will really like the result. + Announcements: The Pilot, Copilot and Flight Engineer announcements will be in English at least for version 1.00. I’ve learned to appreciate the French language reading French Concorde manuals. With beautiful sounding words like ‘vitesse de décollage’, ‘le réacteur’, ‘le poussee’ or ‘Limites de centrage’. Unfortunately, I don’t speak French but my Italian and Google were a great help. I’m seriously thinking to do a French language course later to know this better. + System depth: The early access version includes everything one needs to successfully plan flights and do flights. + 99% of all cockpit switches are clickable and at least animated + To my best knowledge all main instruments work + 707 custom lights are implemented, many of them adjustable dynamically by the appropriate switches OR the handy quick access areas. + Navigation includes something for every taste. Form quick and easy to super complex: 1. Radio beacon navigation (using the cockpit instruments) 2. FMS via Graphical user interface 3. Hidden GPS to display/change/follow the route on two big modern GPS displays 4. Interactive on board CIVA (with limited functionality) 5. Compatibility to Phillip’s Pro CIVA (later even more integration of that) + Video tutorials: There will obviously be several video tutorials later on. Plus the jet ships with handy guided onboard ‘3D tours’ feature. Not all of this will be ready from day 1 of the ea-version! + The jet ships with several manuals for different tastes: A.) 10 essentials pdf (for those who want to start as soon as possible) B.) Quick start manual (with a lot more details but still contained size) C.) Full manual with a lot of background info and details (downloadable publicly ~June) == Other important elements of the aircraft include the Autopilot. Whilst the early access version will feature a simplified one, it will be updated in the future. Again, using the small installer plugin. In the future, version 2.0 will include a fully interactive engineering station. 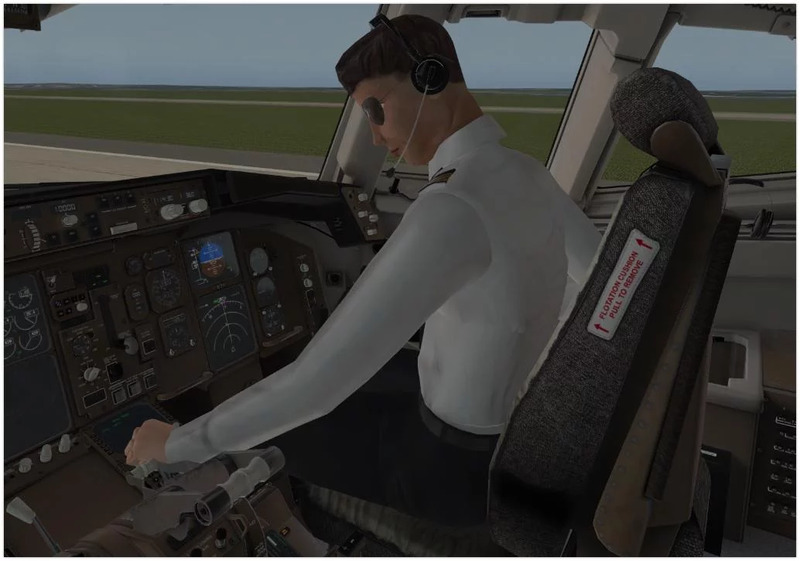 With that said, the switches are animated and the onboard virtual flight engineer will follow your commands. No more specific details on price or actual release date was given, but if that changes, we will let you know. You can see the full thread on the X-Plane.org forums. You can also see further previews from the aircraft by seeing our previous article from earlier this month. SOURCE INFO DEVELOPER POST LINK : NEWS SITE ARTICLE LINK : Colimata Announces Early Access of Concorde on X-Plane to Start Mid-May | FSElite FSELITE.NET If you're looking to have a rendition of Concorde in your X-Plane library, Colimata's version will be in early-access this coming May. I think the boys (especially Edson) have been victims of an unfortunate set of circumstances.